Republican National Committee Chairwoman Ronna McDaniel filed a complaint asking that the Texas state bar discipline Sen. Elizabeth Warren (D., Mass.) for "lying" on her registration in 1986 when she said her race was "American Indian." "Attorney Warren should be disciplined for lying and failing to correct a misrepresentation she made on her Texas Bar registration card," McDaniel wrote. McDaniel reproduced sections of the Texas Disciplinary Rules Of Professional Conduct to emphasize her claim. These rules state that an applicant to the bar shall not "knowingly make a false statement of material fact" or "fail to correct a misapprehension known by the person to have arisen in the matter, or knowingly fail to respond to a lawful demand for information from an admission, reinstatement, or disciplinary authority." According to McDaniel, since Warren has not corrected her statement to the state of Texas explaining that she is not a Native American, she "should be disciplined for her three decades of untruthfulness." The Washington Post acquired on Monday a copy of Warren’s Texas Bar registration card, showing that in 1986, Warren called herself "American Indian" on the section titled "Race." 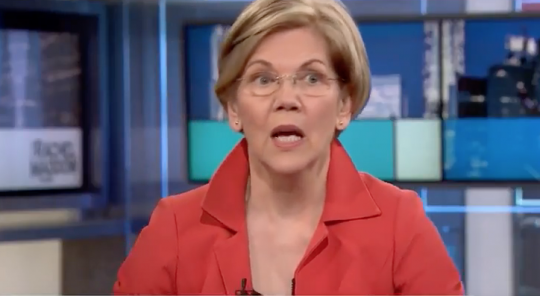 Warren has faced criticism over her claims of a Native American background for years and could only ever cite family lore for proof. In 2018, she released a DNA test showing that she had a Native American ancestor six to 10 generations ago, meaning she could be as little as 1/1,024th Native ancestry.